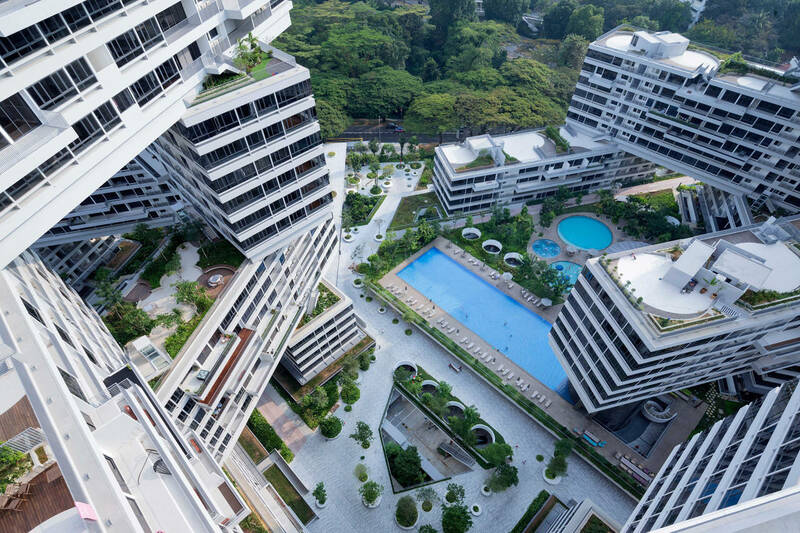 Ole Scheeren‘s design generates an extensive network of private and shared social spaces in a radical reinterpretation of contemporary life in a community. 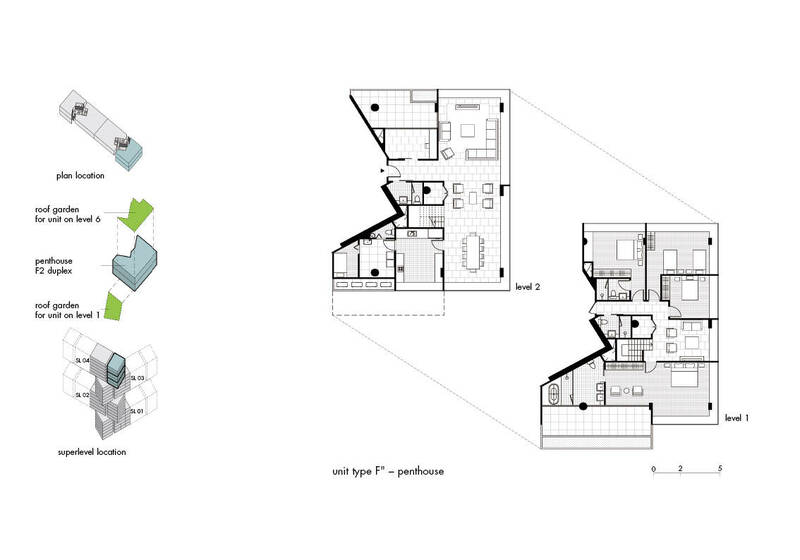 Instead of following the default typology of housing in dense urban environments – clusters of isolated towers – the design turns vertical isolation into horizontal connectivity and reinstates the notion of community as a central issue in today‘s society. 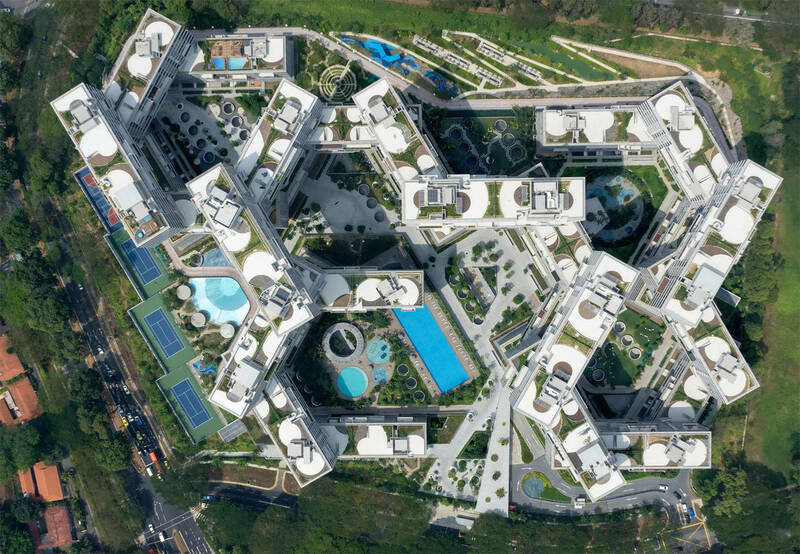 31 apartment blocks, each six stories tall, are stacked in a hexagonal arrangement around eight generous courtyards. 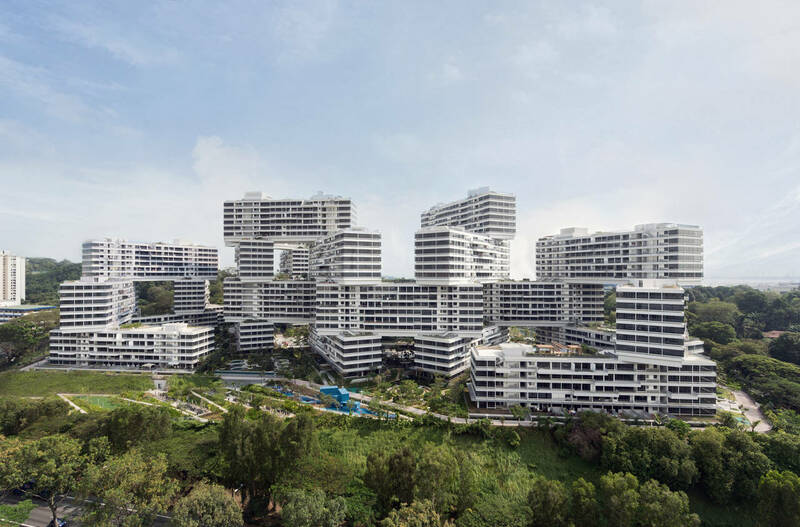 The interlocking blocks create a multitude of shared outdoor spaces, forming a dramatic topography of inhabitable terraced gardens across the stepped volumes. 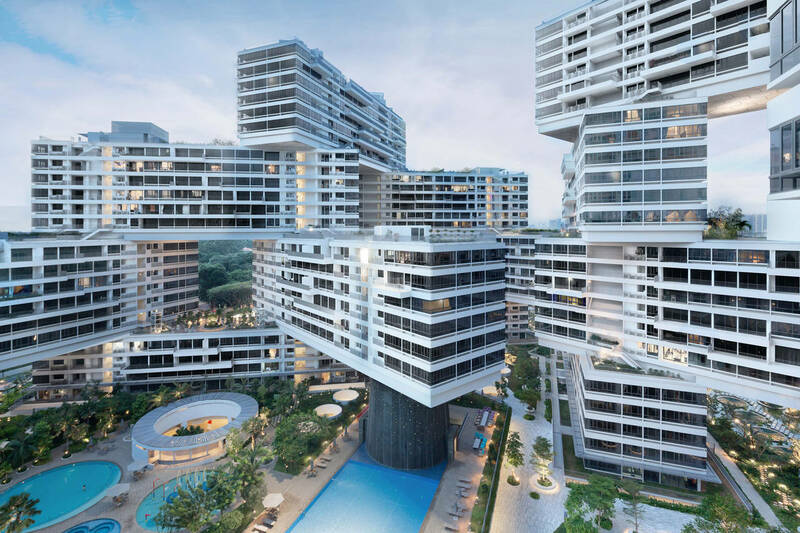 Partly resting, partly floating, the blocks hover on top of each other to form an expressive “interlaced” space that connects the individual apartments with an accessible and inclusive community life. 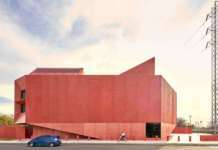 The design generates a multiplicity of qualities and choices for its inhabitants and gives a sense of multi-layered richness and freedom of possibilities for living. 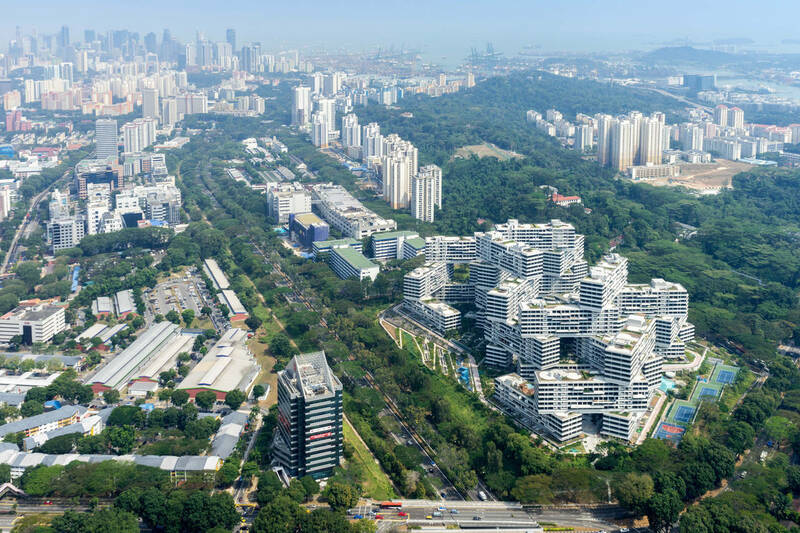 The 170,000 sqm development, which was completed and handed over to residents in late 2013, provides 1,040 generous residential units of varying sizes that are reasonably priced. The unusual geometry of the hexagonally stacked building blocks creates a dramatic spatial structure populated by a diverse array of activity areas. The blocks are arranged on four main ‘Superlevels” with three ‘peaks‘ of 24 stories. 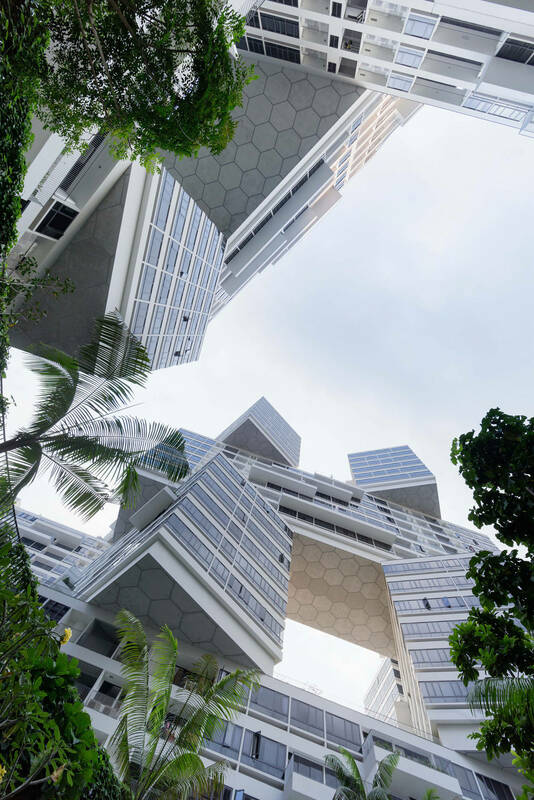 Other Superlevel stacks range from 6-18 stories to form a stepped geometry, resembling the dramatic topography of a landscape more than a typical building. 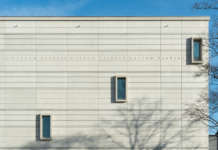 Multi-story openings allow light and air to weave into and through the landscape of the courtyards. Eight expansive courtyards and their individual landscapes are defined as the heart of the project and form distinct spatial identities. 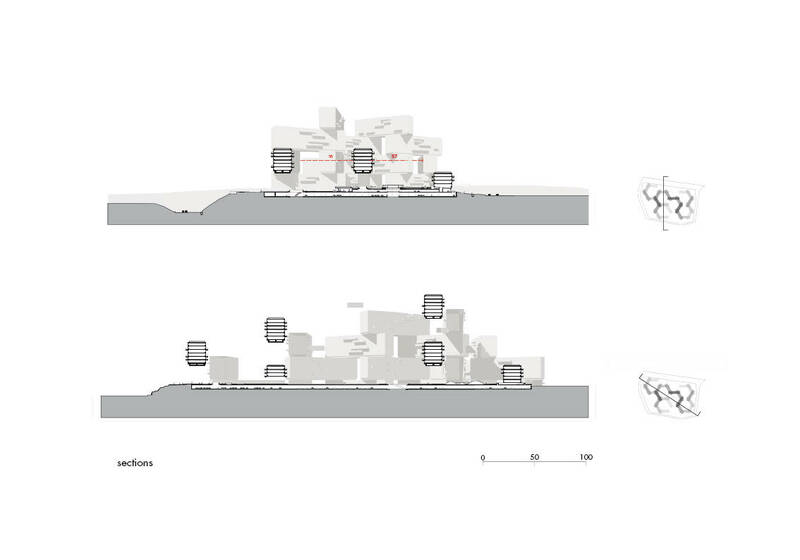 Each courtyard, spanning a distance of 60m across and extending further through the permeable interconnections, possesses a specific character and atmosphere that serves as a place-maker and spatial identifier. The primary pedestrian route through the project leads residents from the main entrance through and to the courtyards as primary points of orientation and identification – you live in a courtyard, a space, rather than a building or an object. 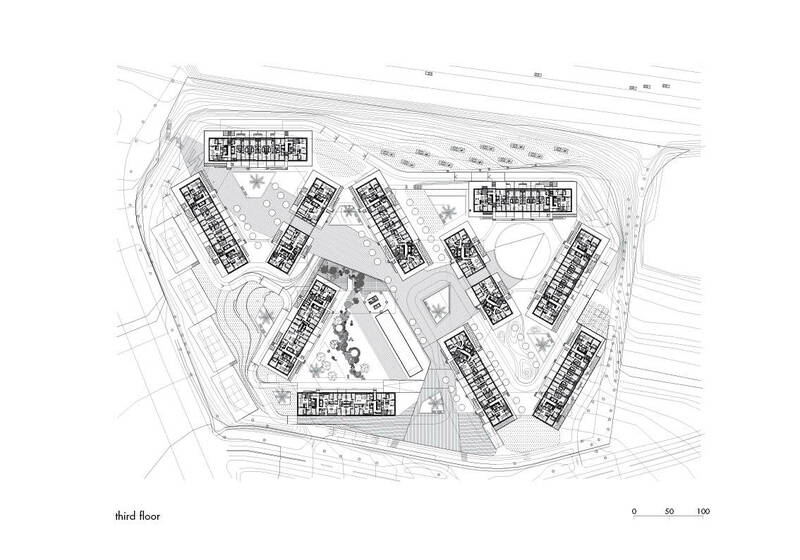 Pedestrian circulation is grouped and bundled according to the density of residents around each courtyard in a central ‘connector‘. A system of secondary footpaths brings residents from the connector to the private front doors of their homes.